Prospect is a free business and portfolio theme released by SiteOrigin. The theme features a clean and responsive design, and comes with a homepage slider, custom post types and above all, a drag and drop page builder. 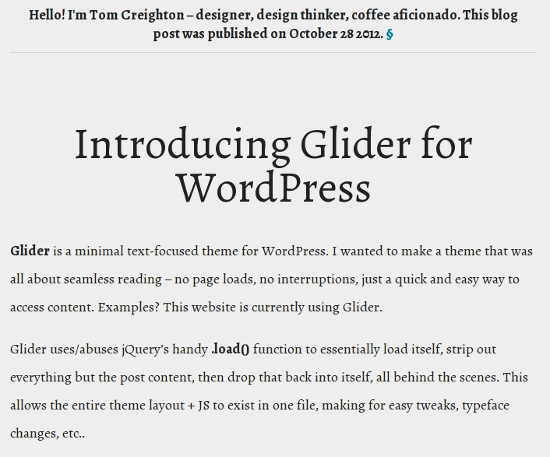 Glider is a no-nonsense responsive theme created by Tom Creighton. Unlike other WP themes, Glider lays absolute emphasis on typography and content: there are no sliders or images or any other media. If you are a fan of content and typography-centric themes, Glider is worth a look. 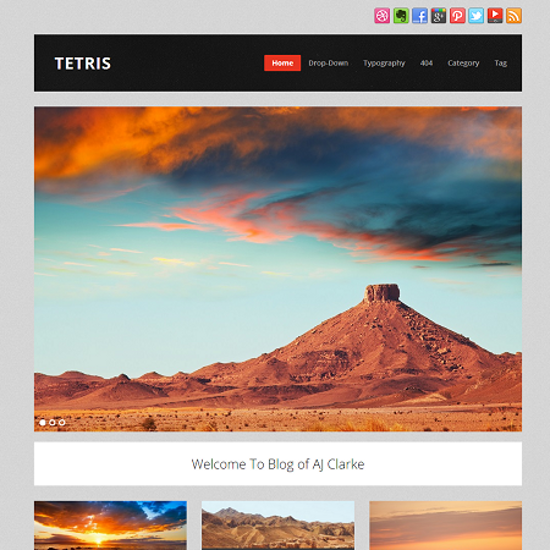 One of my personal favorites, Tetris is a clean and responsive Tumblog style theme. It features a masonry style homepage, and comes with its own social networking icons. 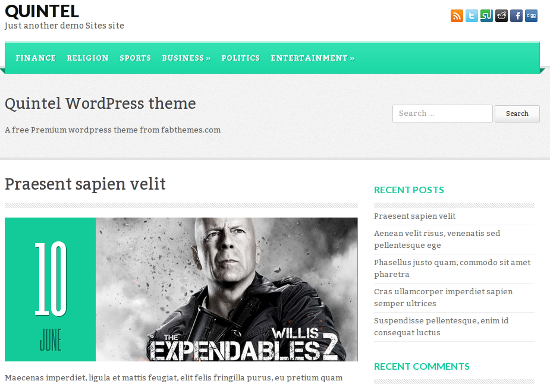 Since Tetris is a tumblogging theme, it makes use of the WordPress post formats functionality. 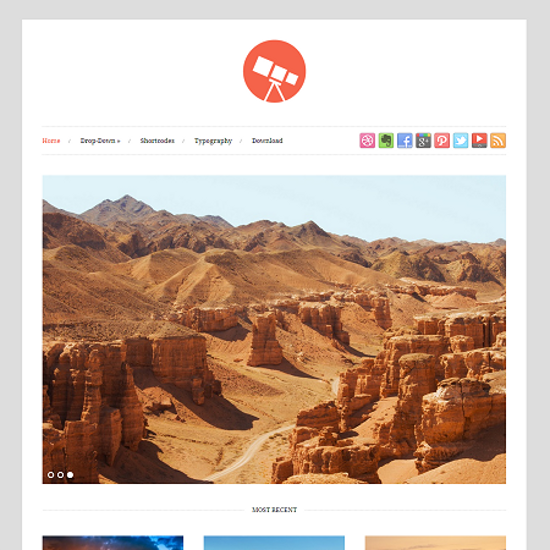 Another responsive free theme by WPExplorer, Photo is meant for photographers and artists. The theme has a sleek and clean design and comes with support for Google Fonts and social networking icons. Ok, yet another free WordPress theme released by WPExplorer this month (seems like WPExplorer indeed was in a festive mood). 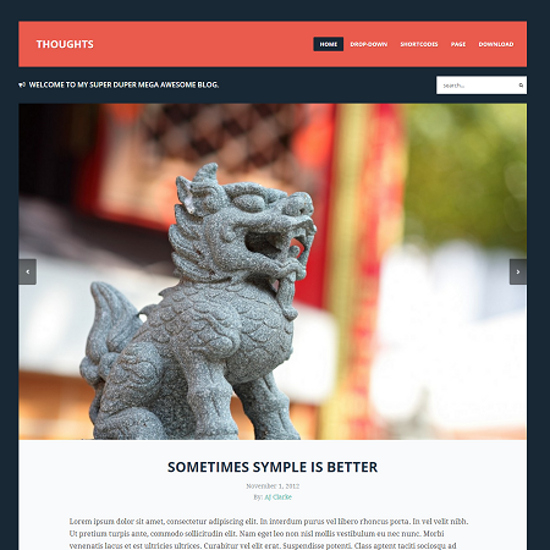 Thoughts is a responsive theme with support for social networking icons and Google Fonts. This theme does not have any widgetized areas in the sidebar or footer and thus, its layout will be ideal if you want to lay emphasis on your content. 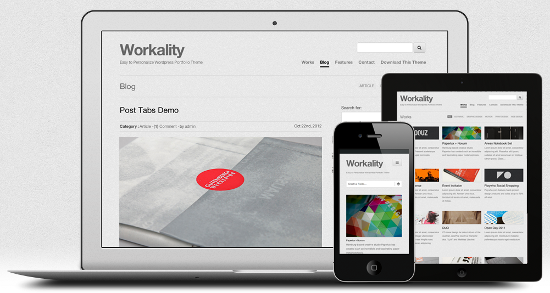 Workality is a responsive theme for portfolio websites. 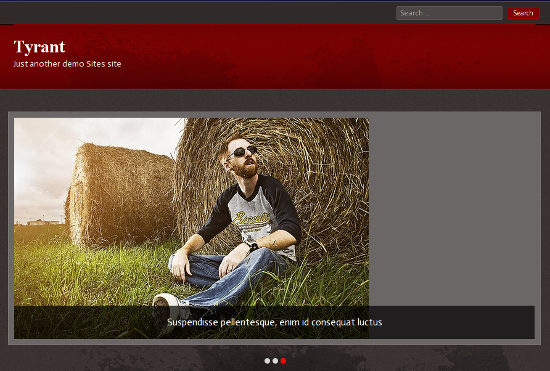 It features custom post types, four portfolio layouts, custom 404 and archive pages as well as support for localization. If you need more features, a premium version is also available. As the name suggests, Small Business is a theme meant for corporate and business websites. It features a homepage slider, and also has a paid version that comes with additional features such as Google Analytics integration and PSD files. 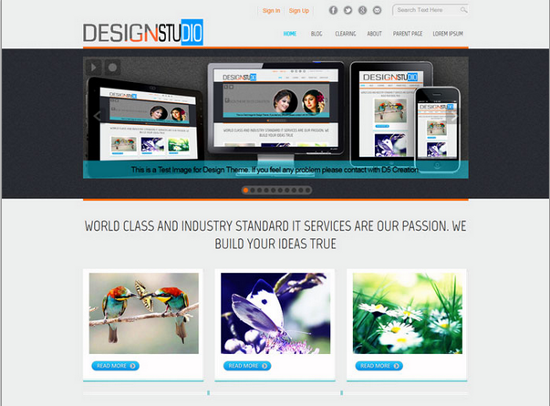 D5 Design is an elegant and responsive theme. 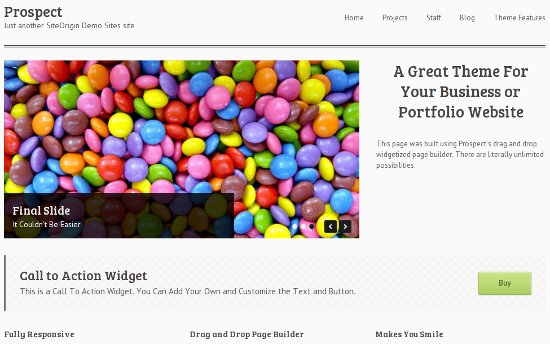 It comes with custom full width and homepage templates. Furthermore, D5 Design also has a paid version, that offers features such as Google Analytics integration, ability to edit post meta data and PSD files. 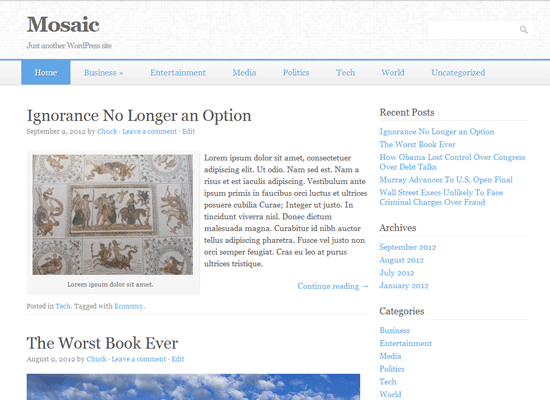 Leaf is a clean, modern and fancy theme meant for news and magazine websites. It comes with Google Fonts integration, homepage slider and in-built pagination. Also, Leaf supports Right-to-Left languages, Superfish menu effects and offers eight post formats. 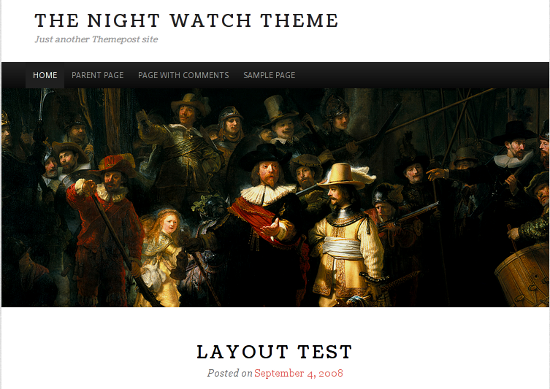 Apart from an awesome name, The Night Watch does not have much to brag about. It is a simple, responsive and single column theme, primarily focusing on readability (and a huge header). If you need access to the support forums and additional fonts, you can opt for a premium upgrade. Mosaic is a clean, minimal and responsive WordPress theme. 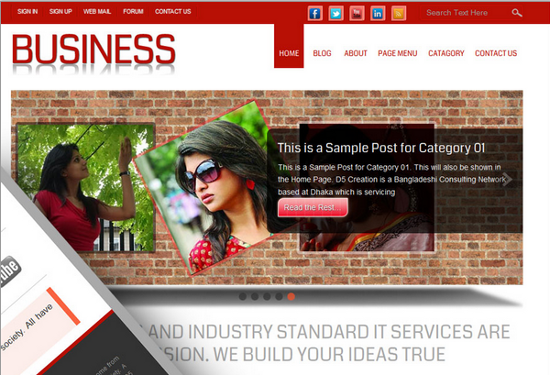 The theme provides three layout choices and overall, the design is not anything special to talk about. However, the developer is indeed passionate about his work, as can be seen from the one-on-one support that he offers in the comments section on the theme’s homepage. Tyrant is one of the four themes released by Web2Feel in the month of November. 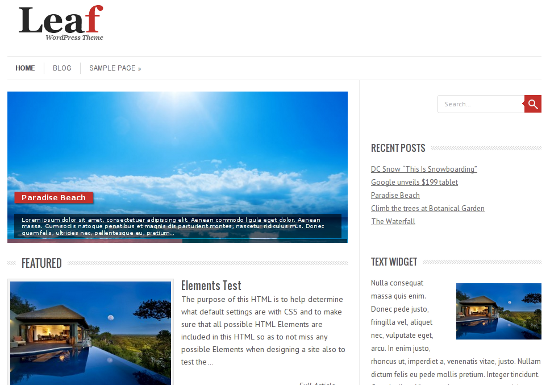 Apart from the usual features, this theme offers a jQuery homepage slider. If you are looking for a dark-colored theme for your blog, Tyrant may suit your purpose. 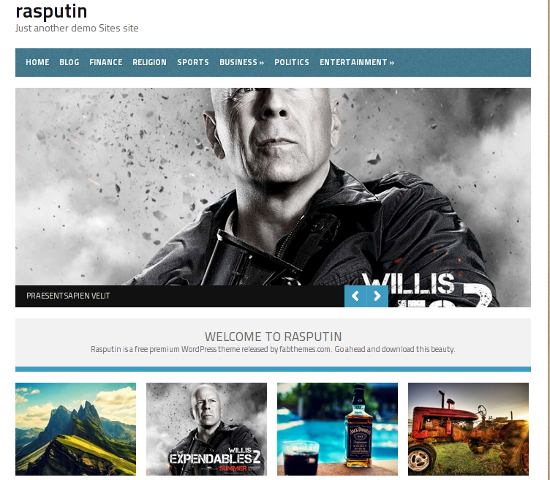 Rasputin is a theme meant for portfolio and agency WP sites. It comes with a custom homepage template featuring a jQuery image slider as well as a Call to Action section. However, I would’ve been happier if the theme were responsive. Siren is a responsive theme built upon the RWDgrid system. Apart from that, just like Rasputin, Siren also has a custom homepage with a jQuery image slider and Call to Action section. 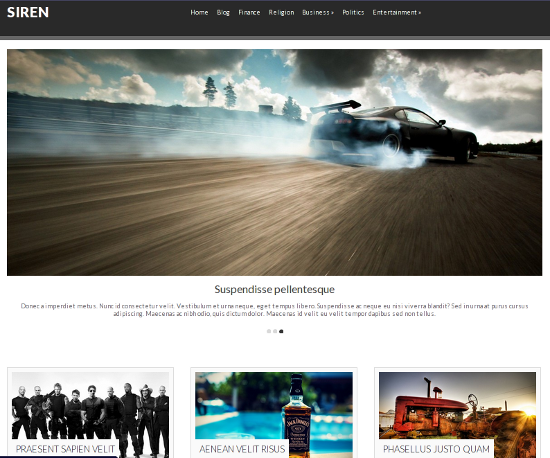 Quintel is the fourth WordPress theme released by Web2Feel in the month of November. It is a minimal and modern theme with social networking buttons and a custom welcome message section on the homepage. I doubt if Quintel will be a good choice for your magazine or news site, but it can serve as a decent pick for a personal blog. 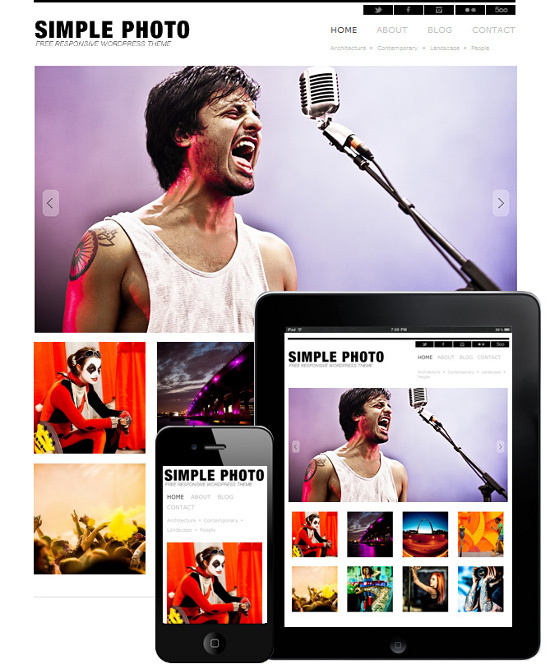 Simple Photo is a responsive and minimal WordPress theme meant for photographers. You can check a video guide here. The theme is suitable for anyone looking for a clean and minimal design. With that, we come to the end of this round-up. If you liked the themes, feel free to check out the collections from previous months: September and October. Also, don’t forget to share your thoughts in the comments below! Awesome collection, I like it. I like “Photo Theme”. It’s clean and modern. When you talking about CMS there are no one like wordpress. It’s user friendly and at the same time free to use for all time. Thanks it really save much time especially for the beginners who doesn’t have much knowledge in web designing. Thank you for sharing it. And thanks wordpress too! Wow! Workality is realy cool! Thanks for that! Hmm, I’m not massively overwhelmed by some of the ones here, but both the Photo theme and the Simple Photo are really well designed and make great use of the space. Would be perfect for a photographer, or for any sort of artist looking to display their work. Gracias por estas plantillas, me seran muy utiles, un saludo desde Mexico!